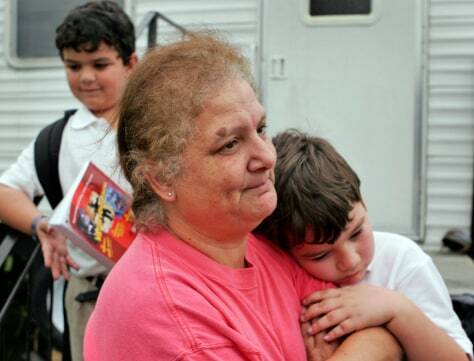 Martina Wiggins with her grandsons Joshua Porrazzo, 8, left, and Jarred Porrazzo, 7, in Violet, La., says she was denied aid because someone had already applied using her address. "They gave away the money too fast," Wiggins said bitterly. "A lot of people got money who didn't deserve it."